We may be nearing the close of summer but I have more than a few Mother of Pearl jewelry designs to still roll out. Just because it is not sunny here in Rochester, New York for more than -oh...a month?! -there are plenty of other states that can enjoy the sunshine for much longer. I got lucky and found these lovely peridot green Mother of Pearl disc shells from two different suppliers. It's so fresh, feminine and calming. A perfect design to add to your Spring Beaded Jewelry or Summer Beaded Jewelry Collection -and very budget friendly. 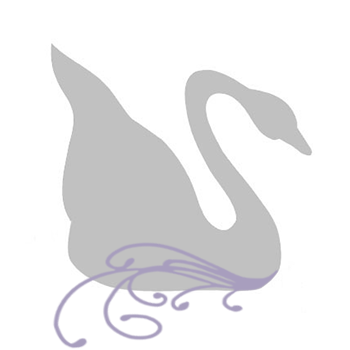 Think of it as affordable elegance! This beautiful springtime handmade beaded necklace epitomizes feminine loveliness. 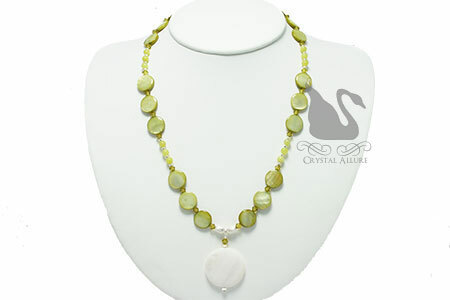 A lovely natural white Mother of Pearl shell disc pendant is host to soft peridot Mother of Pearl shell discs accented with gentle green korean jade gemstones, calming lime green Swarovski Crystals, sterling silver beads and components. Circle pendant is 24mm in diameter and it's a princess length necklace at 17-1/2". 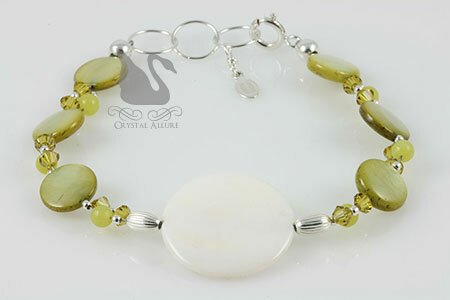 For all you ladies, like me, who just love pairing jewelry for a complete jewelry set, there is the matching Jade Creation Mother of Pearl Peridot Gemstone Beaded Bracelet. This elegant handmade beaded bracelet features a unique twist of intertwining korean jade gemstones, green Swarovski Crystals and peridot Mother of Pearl shell disc beads. Design includes a 24mm natural white shell disc focal bead with sterling silver. This bracelet design is adjustable from 8" to 8-3/4" using the circle extender chain. Finished with our signature jewelry tag. Wear each piece separately or together for a perfectly matched handmade jewelry set! And for all you August born, these beautiful peridot jewelry pieces are the birthstone for August! I have round shell beads just like these except in blue and white. There is something timeless about shells and pearls which is hard to beat in jewelry. I like how the round beads complimented the pendant. Thanks Pearl! I absolutely love these small round shell beads...I have them in a few different colors.